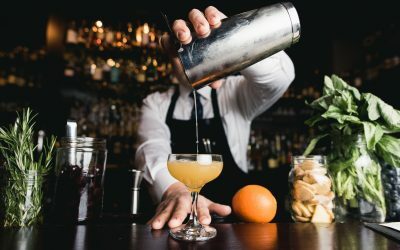 National Bartending Schools stands out among the bartending schools in California as the best school with the most flexible scheduling available! Our terrific staff, extremely knowledgeable educators, and well equipped classrooms all provide an excellent training environment. National Bartending School also offers the best staffing service in the state, with employment available for both students and alumni. Contact us at (619) 281-2345 to get started! What is National Bartending School? National Bartending School, or NBS, has been specifically designed from the ground up to accommodate the busy adult student. The entire curriculum has been structured to ensure the success of students with a variety of things going on in their lives, including jobs, kids, and other schooling. With multiple locations, easy to follow textbooks, job placement, and interactive classes with schedule flexibility, you’ll find that it’s incredibly easy to succeed at National Bartending! There are never any hidden costs at National Bartending Schools either! We have written our textbooks specifically for our courses, and they are included in the costs of enrollment. Students are highly encouraged to call and schedule a tour of the campus and come sit in on a class. We also offer daily tuition specials for prospective students to take advantage of. As these change daily, it is always a good time to call and find out more about National Bartending School! Most of our students have busy schedules, and we at NBS know this. Most of you have work, other schooling, and children that all take up a good portion of your day. Because we value your hard work, National Bartending School boasts one of the most flexible class schedules that you will find i any bartending training program! There is always a class available to attend, so it is easy to find time to complete your required hours! We offer classes up to three times per day, five to six days per week. That’s up to 24 classes offered a week! In addition, you can log hours in our practice bar between scheduled classes as well! You can attain your license in just 2 weeks, or you can take as long as a year to complete the classes- it’s up to you and you alone! Each class covers one chapter, with a total of ten chapters. Every class is approximately two hours long, with half of it dedicated to book learning, and the other half to practical learning. Because we want our students to know their way around behind a bar like a pro by the time they graduate, our classroom are all designed to look and feel like areal bar! Bartending school takes a minimum 40 hours of class time to complete, but we encourage all of our students to put in as many hours as they need to train before taking the final exams. We know that you want to get in and out as quickly as possible, so we at NBS have streamlined our curriculum to get the most knowledge for your time. To be successful, a student must be able to easily get to and from their classes, so classes must therefor be located close to home. National Bartending has established schools all over Southern California! We have schools located in San Diego, Los Angeles, Orange County- and even Las Vegas and New York! No matter where you live or work, there is a National Bartending School near you! Many of our teachers are still bartenders, and all of them boast extensive bartending backgrounds. Some have even graduated from National Bartending School itself! Our teachers always keep up with what is new in bartending, and are willing to lend a helping hand and encourage students to ask for guidance. We encourage our students to seek out help from the instructors on anything that they may be struggling with- they are always happy to assist you! National Bartending School’s work placement program is the ONLY program in Southern California that GUARANTEES students employment upon graduation. Currently enrolled students are able to seek employment opportunities as event servers, cocktail waiters, and bar backs. In doing this, you are able to earn some extra money while attending, and gain skills in the restaurant industry to add to your resume. Graduates of the bartending academy are able to apply for employment as bartenders, both at special events and in part-time and full-time positions at restaurants and bars. Hundreds of businesses in the greater Los Angeles and Thousand Oaks areas contact NBS, looking to hire new bartenders. They know that National Bartending Schools supply the best! National Bartending School of San Diego is open Monday through Saturday every week! Please feel free to visit the school, or call (619) 281-2345 to speak with instructors and staff. Come see that National Bartenders is right for you!